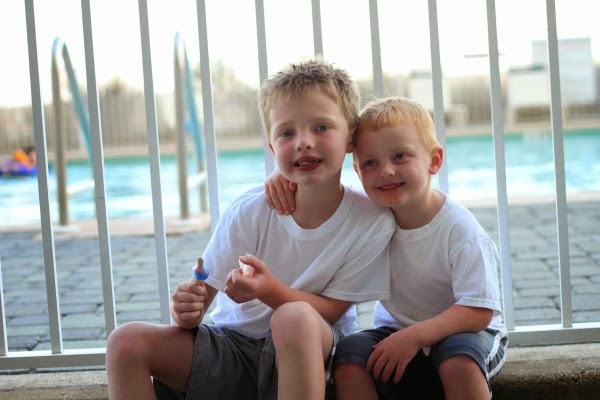 We're back from a much needed and early summer vacation! Luke missed the last few days of school but he didn't seem to mind at all. We waited 'til the bitter end to surprise the boys and how I wish I had gotten their reaction on video! 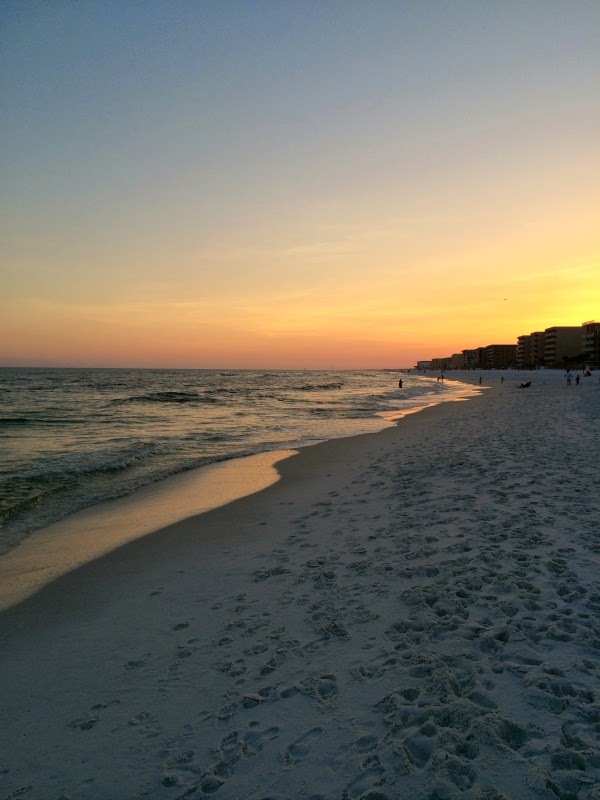 We headed down to our condo on Okaloosa Island which is five miles west of Destin. Have you been there? 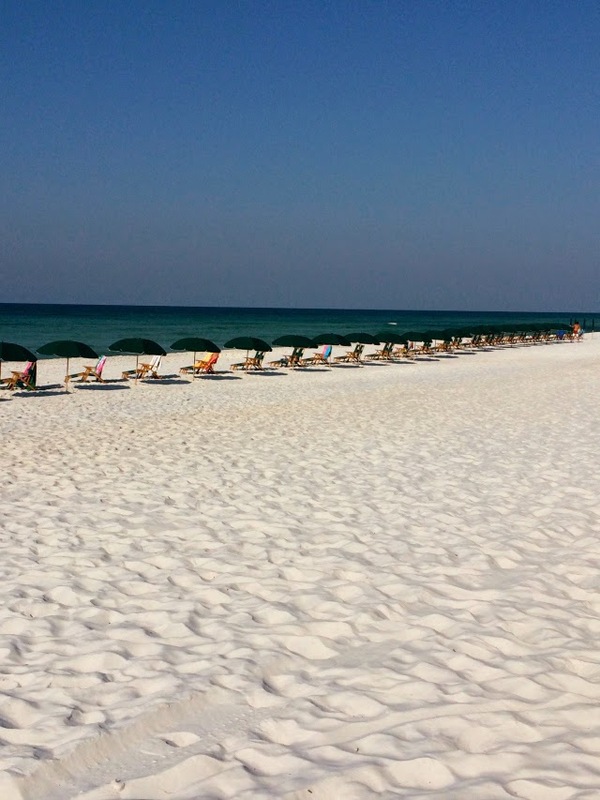 The gulf coast is breathtaking and I'm always in awe that we live within driving distance of this sugary white sand and emerald waters. 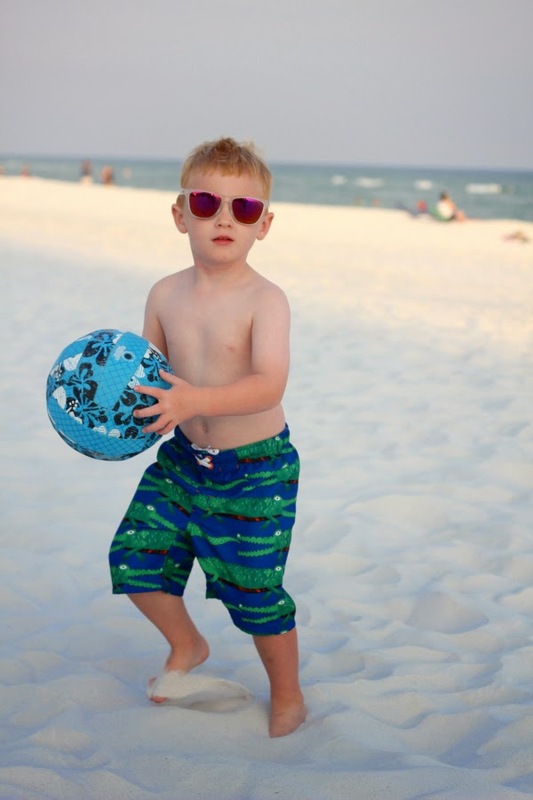 We take things really, really easy at the beach, bouncing between the beach the pool. 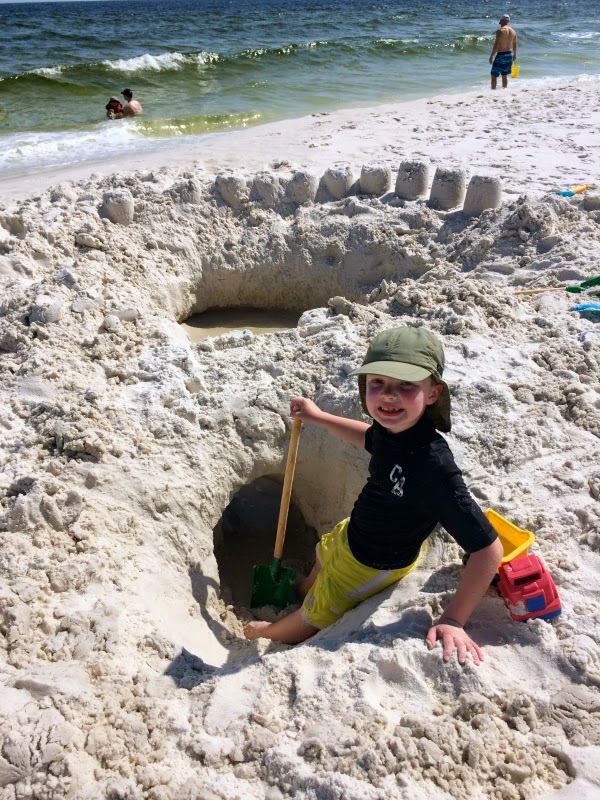 The boys spent the entire first day building this sand tunnel. Pretty impressive, huh? I helped a little. 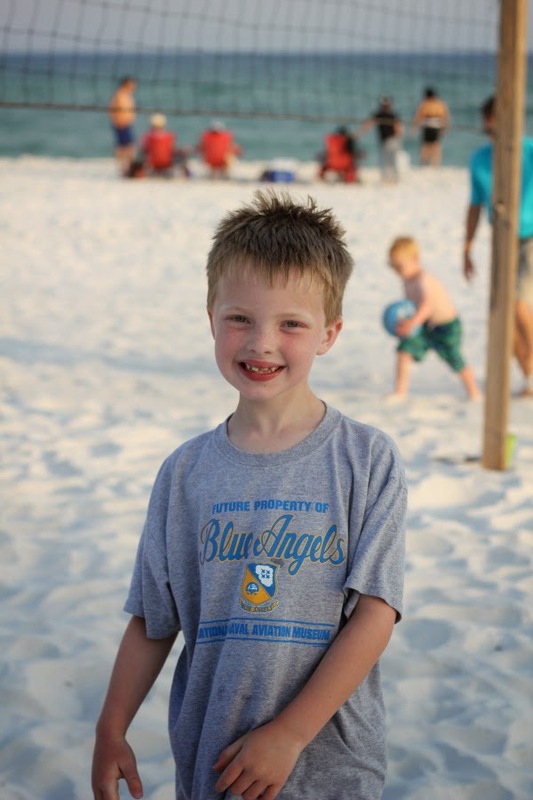 This trip was the first time Jett really swam in the ocean versus just splashing in the surf. 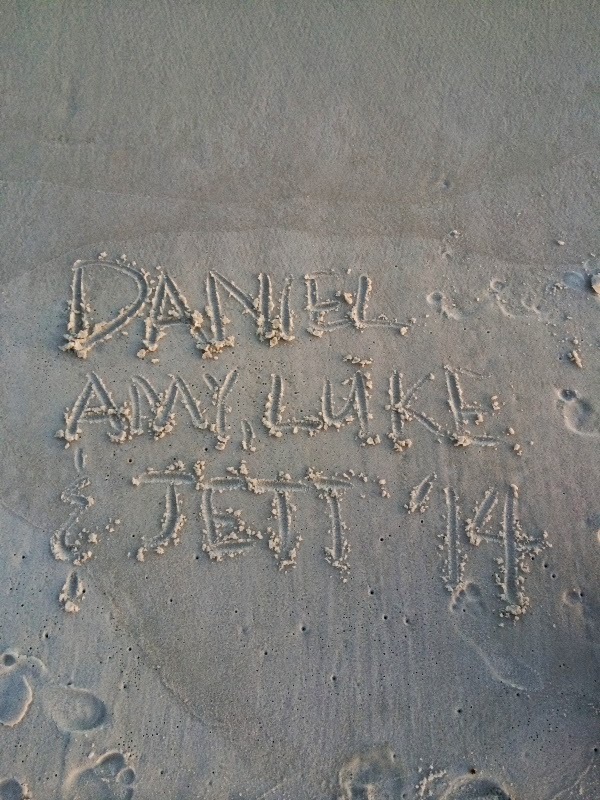 I loved having all of us jumping the waves together...seriously good times! In regards to water safety, our family rule is that the boys wear life jackets at all times when in the ocean and they must be accompanied by Daniel or myself. Jett wears this MTI Life Jacket and Luke has one similar to this. Obviously, they only swim on calm water days although Luke is getting big enough now that he enjoys riding the larger waves with a boogie board and doesn't mind getting thrown around a bit. 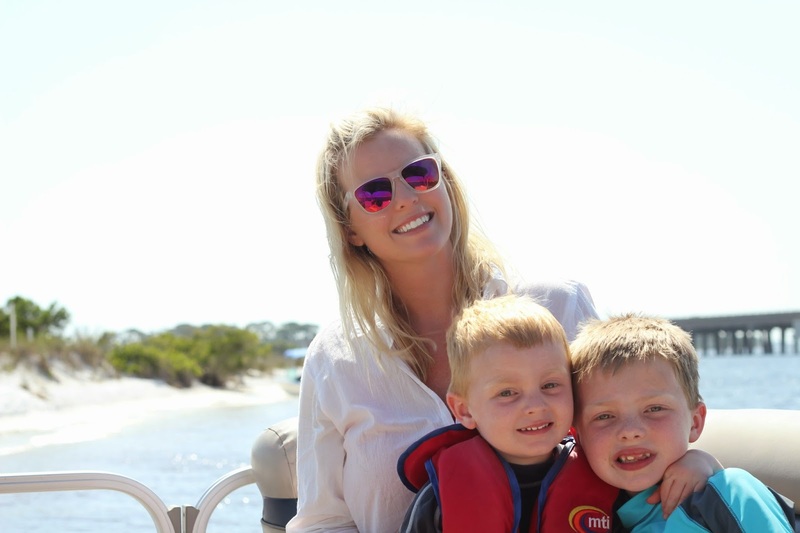 We do spend one day on a boat which we rent from Blue Heron Watersports in Destin. Their family has been in the area since the 1950's and they're good people. We love the freedom of being on our own schedule and the boys love exploring little private beaches and snorkeling on the bay side. We spotted a school of dolphin just off the end of the boat and they put on quite a little show for us! 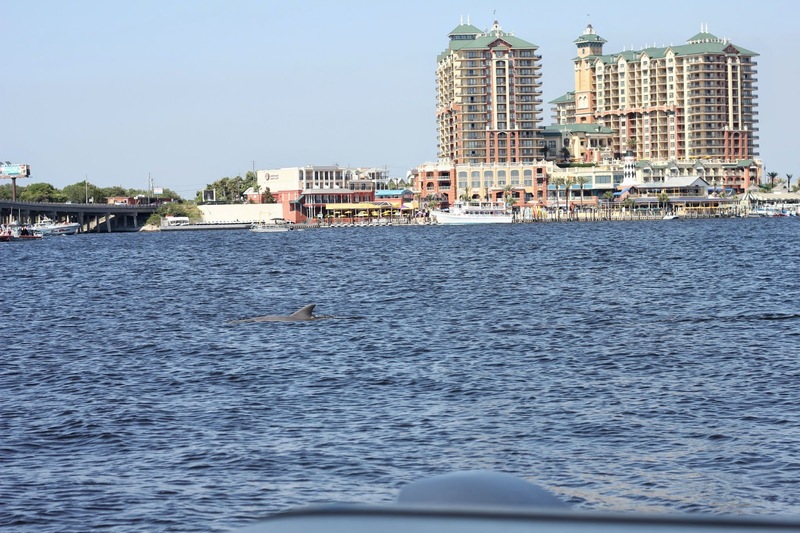 In the background of this photo is Harborwalk Marina which is full of shopping, dining, nightlife and water sports rentals like Blue Heron. 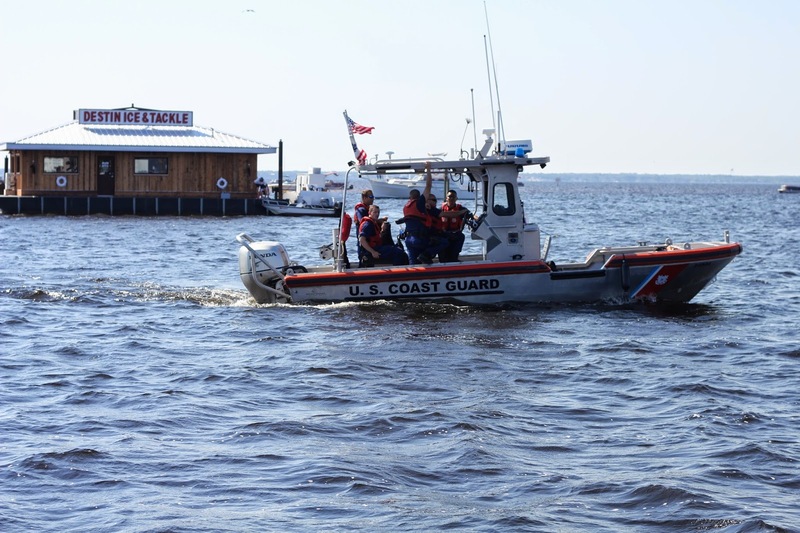 The Coast Guard was also patrolling Crab Island and the boys loved seeing them in action. As far as dining goes, we like to eat at home. 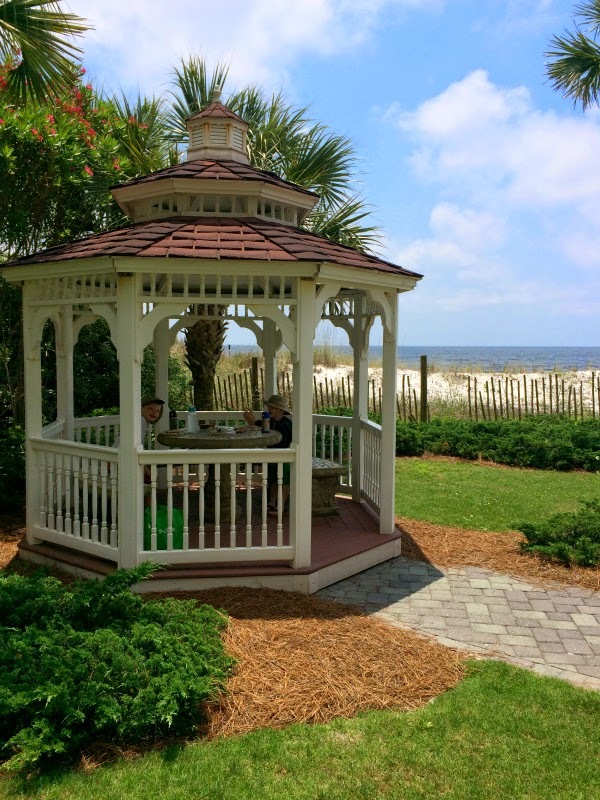 Lunch is typically sandwiches and fresh fruit in the beach side gazebo that's on property. It's really become a fun tradition that we look forward to as a family. For dinner, we also cook in and enjoy picking up fresh local seafood from nearby markets like Destin Ice or Sexton's. If you get the chance, you've got to try some royal red gulf shrimp! They are THE sweetest shrimp I've ever tasted and have a smooth texture that rivals lobster meat. 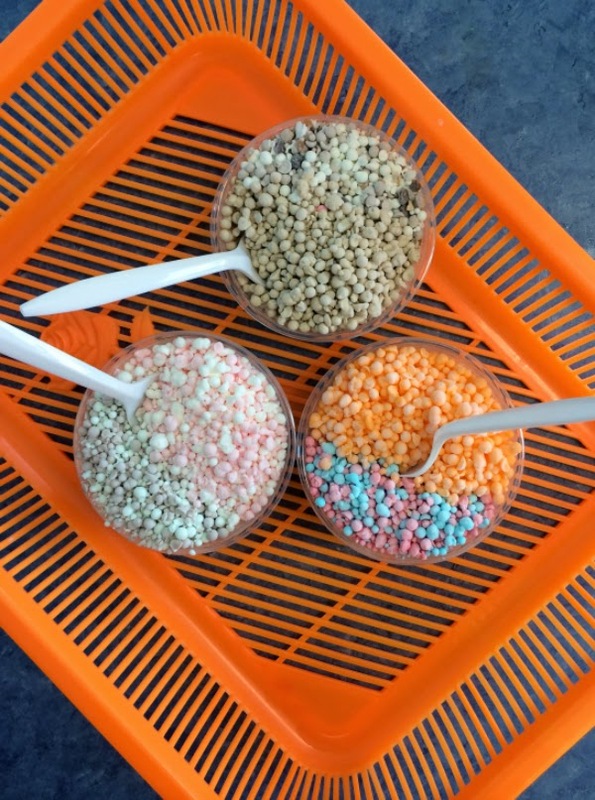 Occasionally, when we need a break from the sun, we'll venture out to the local Dippn' Dots. And the evenings are always spent on the beach. Sunset is my favorite time of day and I plan dinnertime accordingly. Dinner first, followed by sunset games and cocktails. 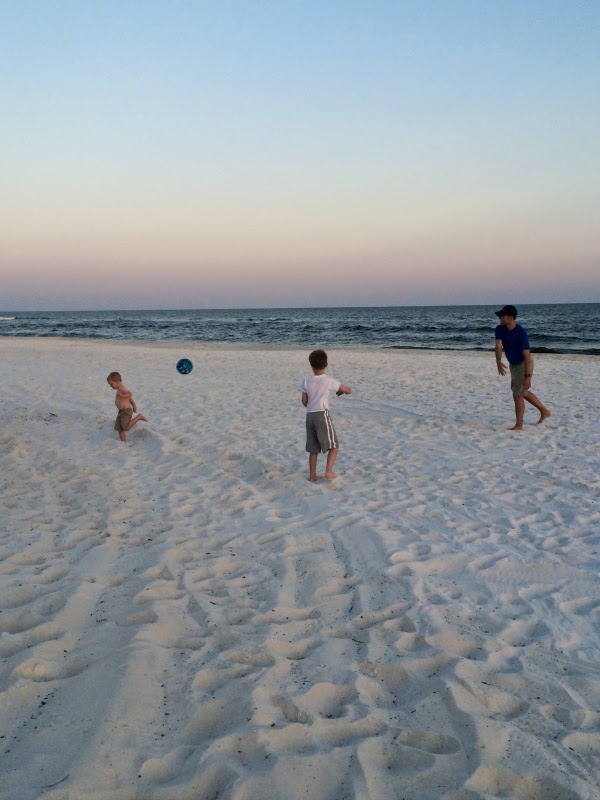 The boys are finally big enough to enjoy volleyball, dodge ball and frisbee which make for good family fun. Cocktails are kept simple too. Beer, champagne or sometimes a rum drink. 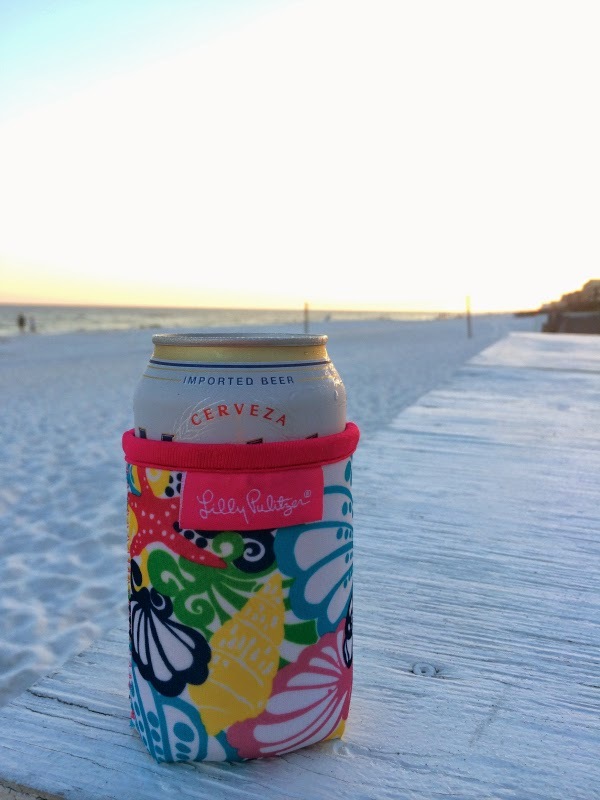 These "chiquita bonita" koozies by Lilly Pulitzer are sold out but you can find similar ones here. How cute is the Booze Cruise print one? Wishing all of you a very happy summer and I look forward to sharing more recipes, cocktails and other domestic delights with you in the coming weeks!